Having spent a long time not quite buying this book, this year I got two copes in two formats. I've lost count of the number of times I must have picked it up and then put it back down again, onlybti find next time I looked for it it was out of print or otherwise unavailable. 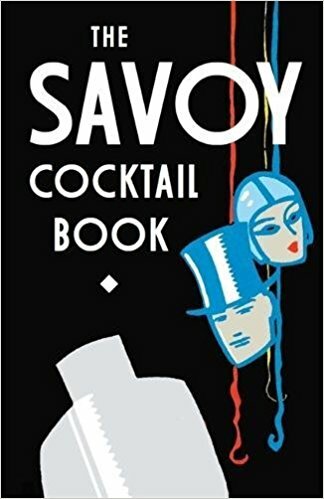 When I wanted to do some more in depth readearch into vintage Cocktails back in the summer it was very hard to find so I ended up with an e-version on my phone, which is an absolutely foul way to try and use a drinks book. Bookmarking or quick flicking through both proved impossible. Nor was it especially cheap, which would have made the inconvenience easier to bear. When I saw an actual physical copy in Birmingham on Sunday I actually pounced on it (well, grabbed it and held on tight at any rate) because I now know what a gem it is. This edition was printed in 2014 and looks like it's been kicking round a busy Waterstones ever since, Amazon is currently suggesting they have copies half price (they most certainly did not in July/August) it would make a great Christmas present for any drinks lover in your life. There's a lot here for the beginner mixologist that's very simple to make at home in terms of equipment needed, ingredients needed, and skill needed. You can learn a lot exploring the combinations of gin and vermouth - and generally learn a lot from any of the simpler Cocktails. If you're building something around 3 elements there isn't much room to hide poor quality spirits, or a badly balanced drink. Get it right and you'll have an excellent repertoire of classic cocktails for whenever the occasion demands. (When you have that repertoire it's amazing how often an occasion does demand). In 4 weeks time Christmas will be done, the Doctor Who special will have done its thing, and I'll be wondering if I can decently slope off to bed yet. Tonight I'm wondering much the same thing, the weekend bought some very sad news with it, and today has deposited an outrageously increased service charge in my letterbox - the idea of going to bed and staying there seems very attractive right now. Certainly more attractive that Christmas preparations - I had both good intentions and high hopes of getting presents bought yesterday, but not much came of it. I bought some books for my God son (one of which I'm tempted to pinch) and some books for me, because who goes to a bookshop and only comes out with things for other people? 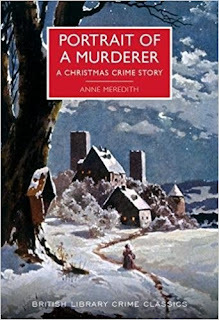 One of the books for me was an eye catching reprint of Cyril Hare's 'An English Murder', it sounded excellent (and indeed is excellent) but annoyingly about a chapter in a realised I'd read it before. I couldn't find it on here, so it must have been quite a long time ago, and I didn't remember who did it, nor can I find another copy in my flat, but nonetheless to many very specific details were familiar. I'm less bothered by that now I've had a good hunt and can't find a duplicate, and happy to have a copy of a particularly appealing murder mystery. 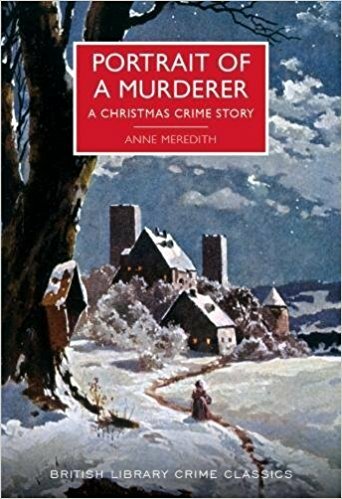 The Englishness of the murder is clever, it's a classic snowbound country house mystery written and set in 1951 (or at least set there abouts). Old Lord Warbeck is at deaths door, when he goes Warbeck Hall will most likely fall victim to death duties, and so he's gathered a last Christmas party. His son, Robert, who is leader of a fascist group, a Jewish historian who is undertaking research on the political life of a previous Lord Warbeck, his cousin Julius, who is also chancellor of the exchequer, the girl he'd like his son to marry, and his late wife's dear friend, now married to an up and coming politician and very ambitious for him. It's an ill mixed group, everybody hates Roberts politics, even Camilla, who would very much like to marry him. Everybody is almost as sniffy about Dr Bottwink - it's blatant anti-semitism on the part of the characters, drawn as unattractive (as it should be). It's interesting in how it illustrates how deeply this prejudice still ran even after the war - deep enough for Hare to highlight the hatefulness of it and for it to be entirely recognisable at a time when we like to think such attitudes were no longer acceptable. It's a clever, entertaining, mystery which hinges around an obscure point of constitutional practice and pokes at the class system at the same time. There's an elegiac note about it that feels appropriate for this time of year, a nostalgia for the glory days of country houses, as well (perhaps) as an acknowledgment that not all change is bad. Altogether it's a gem of a book, with both a decent mystery to unravel, and plenty of well observed detail to think about. I'm very glad to have met with it again. This is a very domestically inclined Week. I have family coming for dinner on Friday, there might be eight of us which is as many chairs as I have, and as it's Shetland family who I don't see nearly enough of, I'm really looking forward to it. In the time honoured tradition of pretending to be a fully functioning adult who lives in a clean and tidy manner I'm also doing a lot of housework. My family know this is a fiction, but it's important to observe the conventions, unfortunately the effect of tidying in my flat is to make it feel like it's breathed in. Hard. Poke anything and everything comes lose again, this is especially true of books which have been ruthlessly corralled under bed, sofa, and dresser. 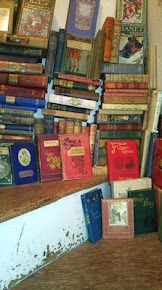 I still haven't quite finished the full I started in April - some really have to go. 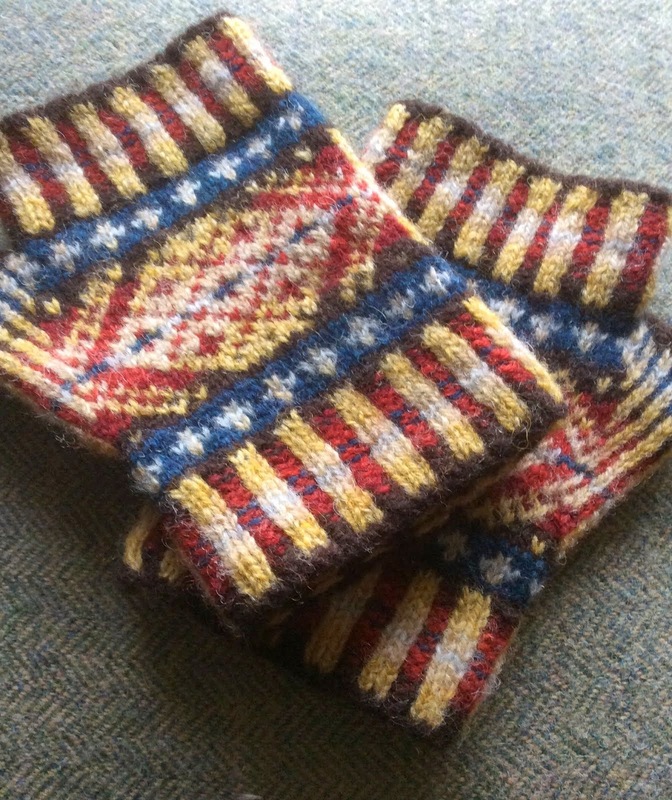 I've also been finishing off a couple of knitting projects destined to be Christmas presents... 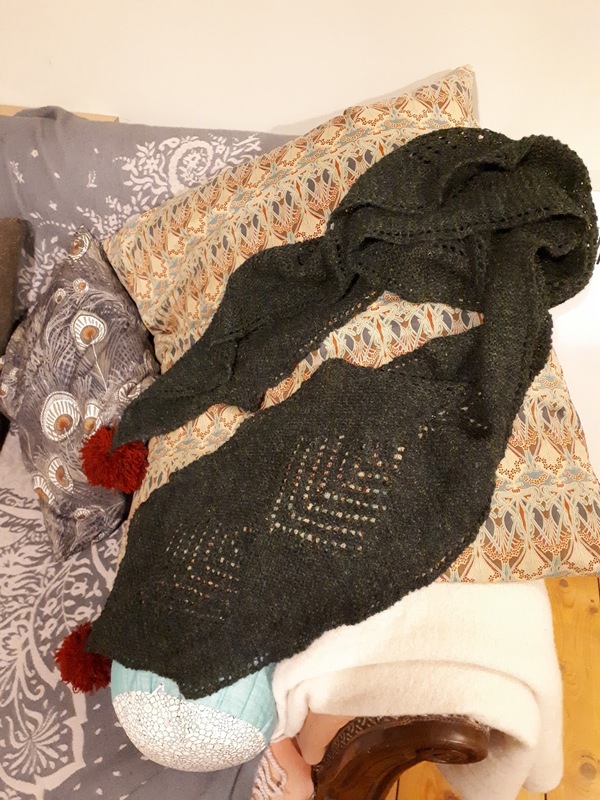 The first is a monster of a thing (exactly twice as long as I am tall) for a friend who chose the colours and wanted something big. 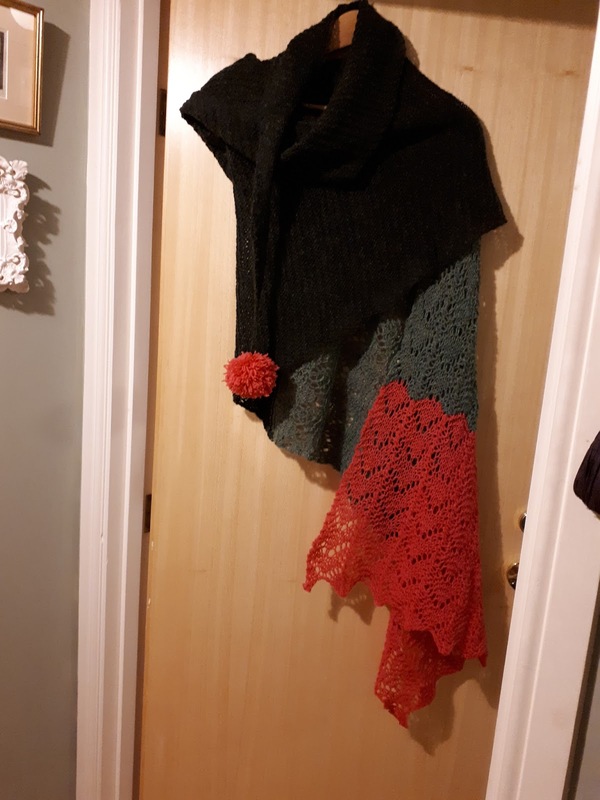 It's a sort of cross between a shawl and a scarf, I've been playing with it for a while and finally managed to find a way to wear it that worked. Which I've since forgotten. Apparently I'm giving the gift of spending quite a lot of time in front of a mirror wondering if that's the best it can be. It's warm though, and big, and pink and green, which fulfills the basic brief. The second scarf is for my sister, I've had the idea in mind for it for a while, and this is a bit of a prototype. I'm basically pleased with the result. I think thevtree of life openwork pattern running up the centre looks suitably Christmas tree like, and the pom-poms are festive. It's come out longer than I wanted which tells me I need to improve my finishing skills. Whilst I was pinning it out I didn't think I was stretching it that much, but wet wool seems to have a mind of its own. I liked the spring and texture of it when it was undressed too, so perhaps the answer is not to bother next time (which is tempting because I don't enjoy the dressing part). Or I could just knit less of it. Translated by Jamie Searle Romanelli. Subtitled 'Society in Four Courses', this is a hard book to classify. The body of it is in the first three chapters; 'Opening Times' which explores the early day of the modern restaurant, 'Postwar Hunger' which takes us up to the end of the Cold War, and 'Present Day' which ends with Magnus Nilsson leaving Fäviken at the end of a service. The final chapter 'Reading Restaurants' ties it all together with a little bit of explanation and interpretation of the material Ribbat has served up. What has preceded 'Reading Restaurants' is a series of stories cut down into bite sized chunks that illustrate what restaurants and kitchens have come to mean to us, how we use them, the people who work in them, and some of the many things they represent. The clever bit is the way the stories are broken down and mixed up. They're all compelling, but even more so because you have to keep reading to find out what happens next. The unfolding story of a Japanese restaurant in cold war era East Germany is a classic example, humble beginnings, growing success, propaganda uses, and a surprising post script runs all through chapter 2. Told all at once it would have nowhere near the same impact. At the same time sit ins at Woolworths counters and other whites only restaurants across the American south are also unfolding. As is the reality of segregation in New York where prejudices have been imported wholesale from the south in certain areas. There's discussion about the emotional work that waiting staff are expected to do, and an acknowledgement of the gist that has for the worker. It's something we really don't talk about nearly enough, and a strange irony that people with the crappiest jobs in the service industry are not in,y expected to look happy about it, but could lose their jobs if they don't. We see the difference between back and front of house from Orwell's 'Down and Out in Paris and London' to Anthony Bourdain's 'Kitchen Confidential', follow the work of various sociologists who have gone undercover in restaurants, touch on the problem of a low wage economy that doesn't pay people enough to live in, and do much more. Sometimes I caught the references in time (I knew Eric Blair became George Orwell) sometimes I didn't, and ended up with goosebumps when I realised I was reading an account of the dinner that MFK Fisher credits as her starting point. There's even a restaurant somewhere in Unst, Shetland, in the 1950's. This really intrigued me, I know Unst, and would love to know where is being talked about. Altogether this is a brilliant, provocative, wonderful, satisfying book. A proper gallimaufry of anacdotes that has been a real pleasure to lose myself in. In short I loved it, and highly recommend it. I really need to be better at bookmarking things I see online and might want to refer back to. Someone blogged about this book, after finding it in a charity shop (I think) a couple of months ago. It sounded like fun and there was a cheap copy on Amazon marketplace so I got it. It's every bit as much fun as it sounded but I can't find the original post I saw, and I haven't found out much about 'Petronella Portobello' either, beyond that it was a pen name for Lady Flavia Anderson. Lady Flavia was the daughter of an earl, married a Scotsman with a castle, wrote books under her own name as well, and had two sons. Petronella, the Deb's mum, has a daughter, writes book reviews to make ends meet, and is a widow living in a draughty pile in Scotland. This book is a humorous (I'd say it was more good natured than the word satire suggests) account of launching a daughter into society by someone who was clearly an insider. It's the good nature that makes it so appealing (there's non of the spite that I associate with Nancy Mitford, for example, who never seems quite as U as she might have liked). The sense is that this is someone who's laughing at herself rather than mocking others, and in the process has created a curious historical document that has the added bonus of being very funny. As far as I can tell from all the googling this is a fairly accurate portrayal of what doing the season looked like by the mid 1950's (published in 1957). Our Deb's mum isn't hugely well off; it's a visit to her trustee and the revision to dip into capital to pay for her daughters season - so why do it? The answer to that seems to be partly because it's what has always been done, it's a right of passage, partly because it's fun, but mostly for the networking opportunities it brings to meet other suitable girls. The argument seems to be that for the majority of these girls there isn't enough money for them to sit around waiting to be married - it'll be jobs all round the following year, and until a suitable husband does turn up. When he does, he probably won't be so very wealthy either, so it'll be a life of trying to make ends meet, the roof in one piece, and the linen in good enough order to keep up appearances before visitors, whilst quietly flogging the family portraits. After a few years of which, when the honeymoon period is over, a network of friends to fall back on is vital. There's the gentle observation that 'good' girls schools were not on the scale of boys schools, so the chances of making a wide circle of friends was limited. Being a debutante provides the opportunity to meet others from the same background who might be neighbours, might marry a man who could help with a thing, will be useful hostesses for your own daughters one day - all of it. Which is interesting, but a better reason to search out this book, or pick it up if you spot it somewhere, is that it's funny and charming. I'm actually slightly surprised that it hasn't been rediscovered/reprinted by someone, we're very much in The Provincial Lady, or D. E. Stevenson's 'Mrs Tim' territory, with hints of P. G. Wodehouse. If you like any of those this is safe ground. This may well have been my most anticipated book of the year - great title, great subject, and great expectations of the British Library (who published it) based on previous collections (see The Haunted Library and Lost in a Pyramid). I was not disappointed. I also came across this Article from the New Yorker whilst I was reading it which underlined something I'd started to notice. This collection of stories and poems come from the 19th and early 20th centuries, and with some exceptions they are all set in a time, or place, where wolves still roamed. One exception is Saki's 'Gabriel-Ernest', which in its way is the most unsettling of the lot. It's a curious thing that whilst Victorians happily imagined contemporary vampires (and re-animated mummies, and in one memorable example a re-animated mummy that was also a vampire) their werewolves lived in the past, or Canada. 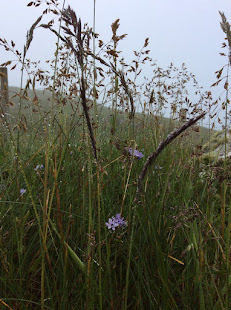 W. B. Yeats' 'Where There is Nothing, There is God' is an interesting inclusion, I guess it's intention is to misdirect the reader (I think this was the intention of both Yeats, and Dobson) into anticipating one thing and getting another. It's a beautiful bit of writing though, one with a tremendous visual quality (I feel like I watched it, rather than read it, so strong we're the images it conjured). I think Kipling's 'The Mark of the Beast' might actually have been my first proper introduction to him, it's made me want to read more. 'Gabriel-Earnest' is Saki on top form, his something wild in the wood is all the more disconcerting for its introduction into an Edwardian drawing room. Another curiosity is Clemence Housman's 'The Were-Wolf'. It's an interesting mix of things - there's it's northern setting, her own role in the suffragette movement which gives a particular resenonce to her choice to have her werewolf take the human form of a beautiful, dangerous, huntress, and the Christian allegory that underpins it all. Unlike the equally beautiful but dangerous lady in Gilbert Campbell's 'The White Wolf of Kostopchin', it's possible to feel some sympathy for Housman's White Fell who's allure is based on her wildness as well as her beauty. Campbell's story speaks more of men's fear of women's power, and their own weakness in desire. Altogether it's an excellent collection. Entertaining to read by a fire, with the doors safely barred, and no intention of letting in unwelcome or uncanny visitors on these dark nights, as well as gathering enough examples to appreciate the hold these creatures had on popular imagination, and what they were used to explore. It's also interesting to trace how these beginnings developed - into Angela Carter's wolf stories, Stephenie Meyer's Twilight wolves, or the traditional horror film versions. I saw this book mentioned on Twitter, and thought it sounded interesting - it's stitched together from two lectures Beard gave; one in 2014, one earlier this year, both commissioned for the LRB lecture series at the British Museum. The first is titled 'The Public Voice of Women' the second 'Women in Power'. A week after it was published (and having checked it was in stock) I had a chance to head off to my local Waterstones to buy a copy, couldn't see it, so asked at the counter. Now I know Beard is popular enough that even my tiny Waterstones would have a decent supply of anything new she had written, and the helpful man behind the counter confirmed that. So many people had asked him for it that day that he thought he'd bring a pile back with him to keep by the till. As it was he couldn't because I bought the last copy he had that day. I think we were both surprised at the popularity of a short manifesto on sale at full price (a very reasonable £7.99) which hasn't, as far as either of us had noticed, had huge amounts of publicity. We were also both clearly pleased about it. In 'The Public Voice of Women' she looks back to Classical Rome and Greece to explore how women's voices were silenced and dismissed in a way that's carried through the millennia. Telemachus' words in the Odyssey when he tells Penelope to go back to her room, that it is his role to have the power, and specifically the power of speech in this household, have clearly carried through the millennia. Given that the classics have been the bedrock of a certain sort of education pretty much forever, it makes sense that these attitudes have become so deeply ingrained in our society. I'm curious about the need Homer perceived to mention that Telemachus chose to exert his authority over his mother in this way, along with other examples Beard gives. Is it a pre-emotive warning to women to keep quiet and know their place, or discomfort at how vocal they were? The few examples of women speaking publicly suggest they were anomalies. Either way it's hard to have power if you're silenced - and one of the things that I most admire about Mary Beard is that she refuses to be silenced by online abuse, but instead chooses to confront it in exactly the way women are generally taught not to. 'Women in Power' struck even more of a chord, not only because in it, Beard takes a good look at the way Hilary Clinton has been treated whilst it's still so fresh, but because she questions what power should look like suggesting that "you can't easily fit women into a structure that is already coded as male; you have to change the structure". This is something that I've thought a lot about over the last few years in terms of what success is, why we so often talk about it in terms of sacrifices that need to be made, and why we still define it in the same fairly narrow terms, or accept the same pathways to finding it. I've only read through 'Women and Power' once, I need to think about it and read it again, maybe follow up on some of the further reading - all of those things. For all it's brevity there's a lot to think about here, and the exhilarating thing about the book is that it really does makes me think about the issues it raises. It also makes me want to share it with others - and that it was selling out in my local bookshop shows I'm not alone in that excitement. If there is one thing I'd really like people to understand about wine, spirits, and beer (the things I sell for a living) it's that they come in finite quantities, sometimes travel a very long way (taking the scenic route at that, wine comes by sea, it can take months), and their availability cannot be guaranteed. Currently much of our sherry range is missing, it was relabelled, the labelling has to be passed by sherry authorities in Spain, they meet monthly, and it's caused a delay. Obviously this is frustrating but there's absolutely nothing I can personally do about it. Threatening to go to another retailer will not magically produce the desired bottle, which no other retailer sells anyway, though you are welcome to buy an alternative from us, or elsewhere. A rant about how it's not good enough won't get the bottle either, but for the retailer who has to patiently accept the abuse, and isn't allowed to answer back it casts a shadow over the whole day, and at this time of year it's like constantly hitting a bruise. 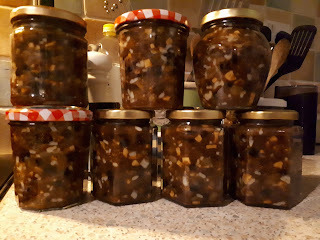 What this has to do with mincemeat is that yesterdays disappointed customer wanted a bottle of amontillado (interesting choice) for her mincemeat, which made me think I ought to get on with mine. All other amontillado’s were to expensive, the fino she was eyeing up would almost certainly have been to dry, she didn't like whisky, rum, brandy, amaretto, or any other reasonable sounding alternative, and the look she was giving me suggested that she thought I either had cases of the stuff hidden ‘out back’ which I was withholding from spite (retailers don't do this, we want to make money by selling things, we don't always have to go and look to see if we have something either, we know because we handle every one of the tons of bottles that come into the shop, and answer the same questions all day long) or had personally drunk the lot, I hadn't. At least making the mincemeat when I got home was calming. Fiona Cairns recipe from ‘Seasonal Baking’ is the second mincemeat I made and the first that worked. It's become a happy tradition to make my own because it's easy, smells good, makes me feel like I've accomplished something, and doesn't bubble up and escape in the same way as shop bought does. I like to make enough to give quite a bit to my mother, who makes brilliant mince pies (her pastry is excellent, mine is not), and generally as presents (I tell myself it's a nice thing to get). It's also a definite advantage of making your own that you can alter the recipe to suit your preferences/what you have, and it's a great way of using up left over dried fruit from Christmas cake and pudding making. I've doubled the original recipe because I like mincemeat, obviously it's easily halved again. You will want 200g of nuts, I've used hazel and almonds before (Cairns recipe is for fig and almond mincemeat), and quite like the idea of walnuts but have never had enough left over. Lightly toast the nuts, and chop them until they look the right sort of size. 200g of suet, 200g of mixed peel, 200g of Demerara sugar, and 200g of dark muscavado, can all follow the nuts into a bowl along with 3 teaspoons of mixed spice, and 2 teaspoons of ground cinnamon. Next measure out 400g of raisins or sultanas, 300g of currants, and 300g of finely chopped dried figs (or apricots, or dates) and stick them into the bowl too. After that peel, core, and finely chop around 500g of Bramley apple (that's about 2), zest and juice 2 oranges and 2 Lemons, and measure out 120ml of booze. If you're using almonds a mix of brandy and amaretto is good, just brandy, or rum, or even whisky, according to preference all work. Give everything a really good mix, cover the bowl and set it aside for 24 hours or so to let the flavours really mingle, giving it a good stir from time to time. 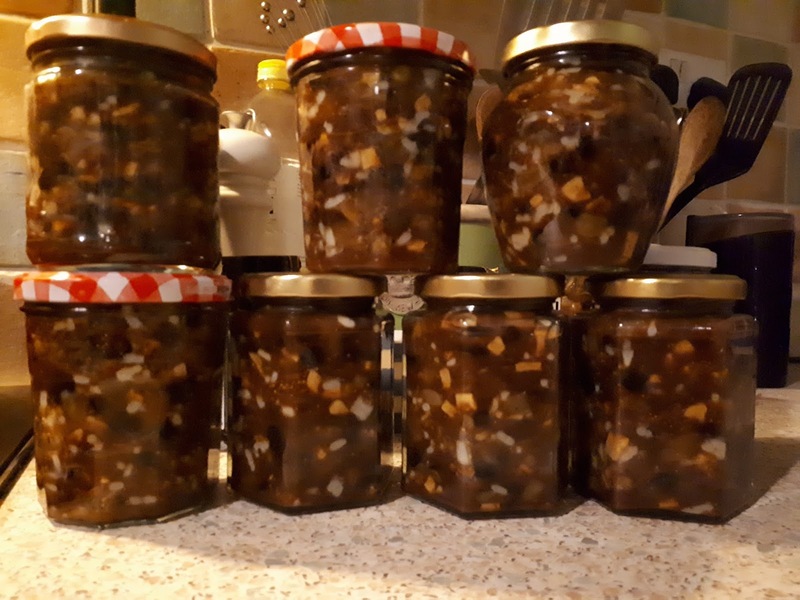 Finally pot it into sterilised jars (makes around 8 good sized jam jars), and leave it somewhere to mature for a few weeks, by which time it will be mince pie time. The only thing that surprises me about the number of murder mysteries set at Christmas is how few uncles or siblings get done in (anyone else who has seen a very drunk uncle wandering the halls not even decked in so much as a sprig of holly will understand). Meanwhile there's something reassuring about the recognition that gathering your nearest all under one roof might be a bit stressful (though the most dramatic thing, apart from the naked uncle, that's happened in my family at Christmas is a bout of tears and a melted chopping board). Not so the Gray family in Anne Meredith's 'Portrait of a Murderer ' where the family return from church on Christmas morning to find their patriarch, Adrian Gray, dead in the library. The reader has already witnessed the murder and knows the who, how, and why. When it becomes clear that it really was murder the rest of the family have a pretty shrewd idea as well, but more than one person had motive. Will the carefully manipulated evidence be enough to get someone else hanged? The Grays are a fairly unpleasant bunch - an ambitious politician who wants money from his father to pay of his mistress and buy a peerage, a dodgy financier as a son in law who wants money to stay out of prison and his vain and shallow wife, a bitter daughter to keep house, another steeped in depression after her marriage has been a conspicuous failure. 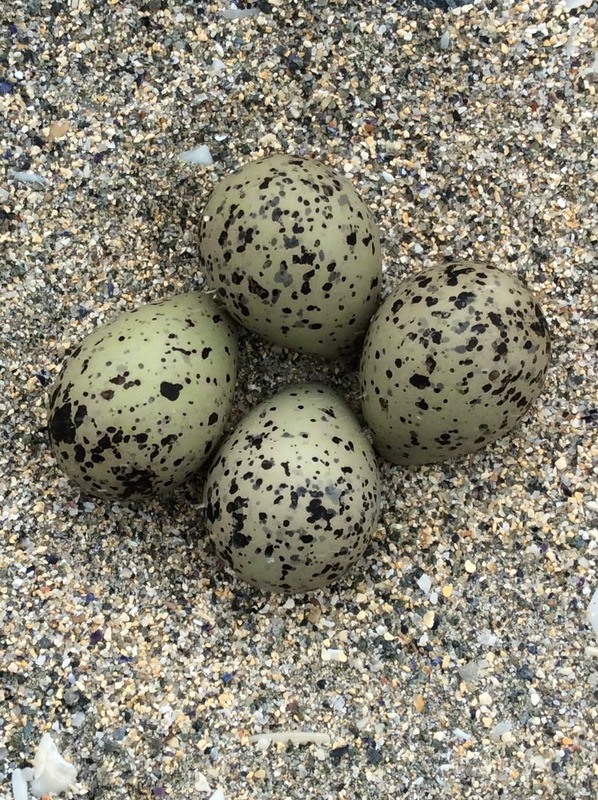 A younger son who could be a promising artist but has married a woman who's dragging him into the gutter, and a father who didn't much care for any of them. What makes this book so good is the way that Meredith draws each character in their own specific unhappiness making it clear that some can find their way back to happiness, but others will not depending on the person they are and what it is they hold most dear. This is a darkly compelling murder mystery with a real emphasis on dysfunctional family dynamics, and it's absolutely perfect for reading on a dark winter night and making you grateful for the imperfect family you have. It's a fine choice for the 50th book in the British Library crime classics series - one that feels like a genuinely lost gem rather than an interesting curiosity (I like both sorts, that's not intended as a criticism) for the way it explores what the right thing to do is when you have split sympathies and more than one person is seriously guilty of something. My relationship with Georgette Heyer has now spanned more than 30 years, in which time I've re read most of her books a number of times, and each time I find something new to think about in them. Choosing Heyer for Simon and Kaggsy's book clubs started as an easy option, but I've come to really welcome the chance to have a title picked for me, and the added dimension that thinking specifically about the year it was written in gives my reading. 1968 was an eventful year - the Vietnam war, Prague spring, huge student riots in Paris, assassination of Martin Luther King, the Cold War rumbling on in the background, and Rosemary's Baby showing in cinemas. It's also towards the end of Heyer's life and writing career, she died in 1974, and a long time since she published her first book in 1921. Her later books are not generally considered her best, not least because she piles in a lot more slang, and in the case of 'Cousin Kate' there's a lot less of her trademark humour as well. That I have a fondness for it at all is because it's set in Leicestershire- her fictional Staplewood is somewhere near the real Market Harborough (just down the road, and still a charming market town, the Angel coaching in that she mentions is still in business too). Cousin Kate is 24, unmarried, bought up following the drum with her military father across Spain and Portugal, orphaned, penniless, not especially well educated, and very pretty. 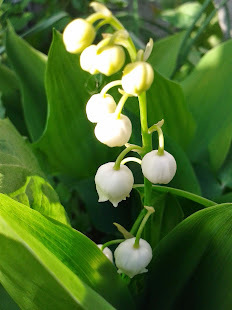 The respectable occupation open to her is as a governess, but she's too young, too pretty, and not well enough qualified to to find a job easily. When we meet her she's just been sacked after her employers brother made a pass at her. She's staying with her old nurse looking for any kind of work, when Sarah (the nurse) decides to contact Kate's half aunt in the hope that she'll do something for the girl. What she does is turn up, sweep her away to Staplewood, and keep Kate there with her much older invalid husband, and her disturbingly volatile son, Torquil. It's clear from the beginning that all is not well with Torquil, it's so long since I first read this book that I can't remember when we're meant to work out that he's insane but there's a brooding gothic atmosphere from the beginning that makes the mood of this book radically different from Heyer's other romances. 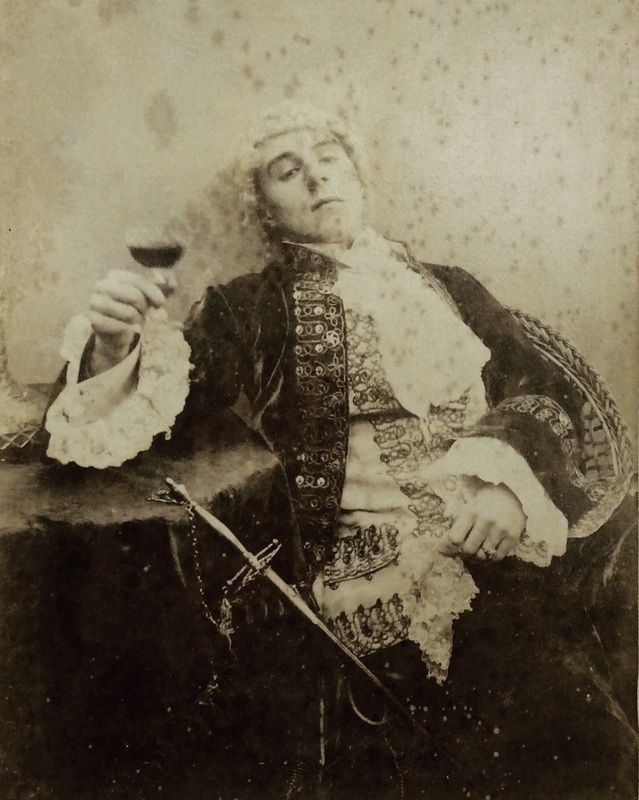 I'm going to skate over Torquil's madness and the way Heyer depicts it, and simply accept that she wants him to be both genuinely menacing, but also an object of compassion. I'm more interested in her decision to set the action some years after Waterloo becaus I think it's telling that Kate came unscathed through her experiences following an army across Europe, but meets real danger in peace time. It certainly seems to reflect the uncertainties of the late 1960's. 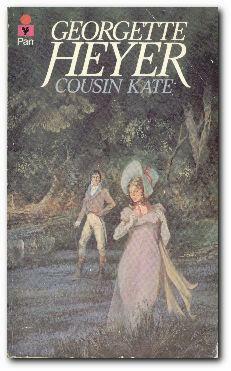 Happily, Kate meets and falls in love with Philip, Torquil's cousin. So she doesn't have to dwell on the bleak picture her aunt paints when she tries to persuade Kate to marry her son and provide an heir for the estate before he has to be committed. We can dwell on it a bit though because this is one of the things I find particularly interesting about Heyer. Her father died when she was quite young, at which point she supported her family with her writing. She continued to support her brothers throughout their lives, and when her husband decided to retrain as a barrister it was the money that Heyer earned that payed for that and kept her family afloat. She certainly knew plenty of other successful women writers who must have essentially have been doing the same thing, and given the time she lived in must have known plenty of other capable, successful, women. She would also have seen those jobs go back to men after both world wars. Even in 1968 the expectation would have been that most women would leave work when they married, and that marriage was a suitable career for a nice middle class girl. (My mother, born in 1950, got the sort of education that prepared girls to be efficient wives for professional men, rather than to have careers - there was no expectation or encouragement at all to go to university, or to dream of any sort of career as far as I can tell.) From a strictly practical point of view Kate could do worse than marry Torquil (provided he didn't strangle her on the wedding night) he could be quietly hidden away in fairly short order, leaving her to enjoy wealth and security in peace for the rest of her days. Not all of Heyer's attitudes stand up to close scrutiny (she can be a snob, some find her high Tory attitude troublesome, she does occasionally sound distinctly anti-Semitic) but I don't doubt that she's making the point that women were still getting a pretty raw deal in the career stakes when she wrote this, and that it wasn't good enough. She even makes it clear that whilst Aunt Minerva is the villain of the piece, she's also in her way the victim of a bad marriage. A strong willed, ambitious, woman has married a weak man because it's the only option she had. He's given her little scope for her abilities, and wilfully ignored the tragedy unfolding in his own family (he warns Kate not to trust her aunt, but offers her no practical assistance). Minerva may be a cold and selfish woman but I'd argue that Heyer depicts her ambition as a positive attribute, albeit one that's disastrously misdirected. I'm pleased to have had the push to reread this one. It will never be my favourite Heyer, but thinking about it against the background of when it was written has certainly made me reassess it, and I've found a much more interesting book than I expected. Over the last 14 years or so I've come to really love the Scottish Borders. It's a part of the world that's beautiful, has its own feel (neither Scottish or English, but distinctly Borders), a sense of history, and gains a stronger hold on me every time I find myself there. Sadly that's not been at all often this year, but we did spend I night in St Boswells on the way back from Inverness, and whilst there it would have been rude not to go to the bookshop on Main Street. Once in the bookshop buying something was inevitable. I chose Alistair Moffat's 'The Reivers' because it seemed high time to become better acquainted with some of the history of the area. The remains of the great abbeys at Jedburgh, Melrose, and Dryburgh, along with the significant church ruins at Kelso speak of an historic affluence. That the place is thick with country houses (including Manderston with its silver staircase), to the extent that it feels like half the peerage must have a bolt hole in the vicinity suggests there's still money on those hills (and definitely in the salmon rivers). The distinctive Peel towers that pepper the landscape however hint at rougher fortunes. I suppose I had an image of the Botder Reivers as vaguely romantic robber barons who went raiding into England (encouraged by their womenfolk presenting a dish of spurs when the larder was bare as a hint to go out and steal some cattle - but that's pure Walter Scott territory). The reality is much more interesting. Moffat paints a picture of an area that from the earliest times had its own distinct identity, Borderers from both sides had more in common with each other than with their compatriots in the south or north, it's a useful reminder not just of how divided Britain is, but how deep the regional differences are within England and Scotland. The Border families, especially on the Scottish side, are generally referred to as clans, but Moffat makes the point that it's the surname that's all important to identity here (for highland clans there's also a deep allegiance to the land), and he refers to the riding families as Surnames - all incidentally still common in the area. Through alliances with neighbouring surnames the heidsmen of these surnames could put thousands of men in the saddle and have them on the march within hours. These where essentially small armies, and the families seem to have felt no particular loyalty to whoever their actual monarch was. Understandable when you live on the frontline between warring nations, far enough away from the seat of government to avoid close scrutiny, and powerful enough to make to much interference with you inadvisable. It wasn't a great place to try and make a living as a farmer though. When the little ice age wasn't doing for you, it seems somebody was always setting fire to your home, stealing your live stock, or trampling your crops. It's an entertaining journey through a period of history as brutal as it was colourful. The book is full of all sorts of asides, and Moffat clearly loves the region (his affection for it has deepened mine). If I had a quibble it would be that events aren't described chronologically; the narrative jumps back and forth between people and places in a way that can be confusing. On the whole though, I came out of this with a much better understanding of the history of the Borders, and also of Britain as a whole. It's well worth reading.